The Reporting section of ACAManager includes a list of employees whose IRS 1095-B or 1095-C forms should be sent to the IRS for reporting. 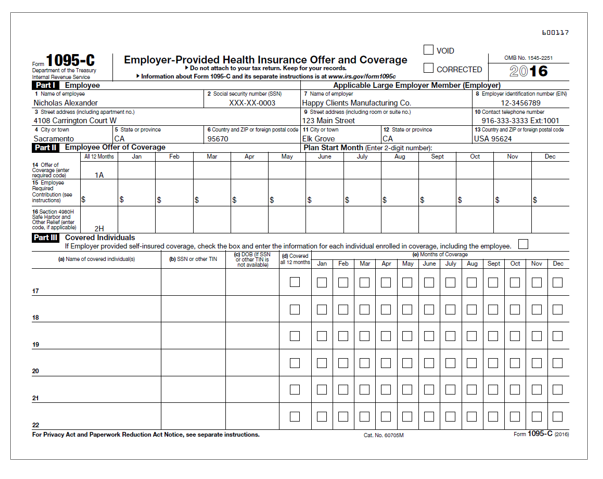 The generation of either the 1095-C or 1095-B form is contingent on the employer's Applicable Large Group (ALE) eligibility and their plans funding status (Fully Insured vs. Self-Insured). From this list you have the ability to: review individual forms, email all forms to those employees with email addresses in the system (assuming prior authorization has been received from the employee), and/or edit individual forms. 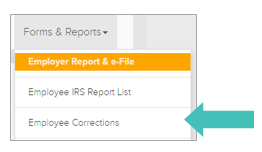 From the Forms & Reports tab, select the Employee IRS Report List. You will be presented with an entire searchable list of employees that the system has determined should be reported to the IRS. 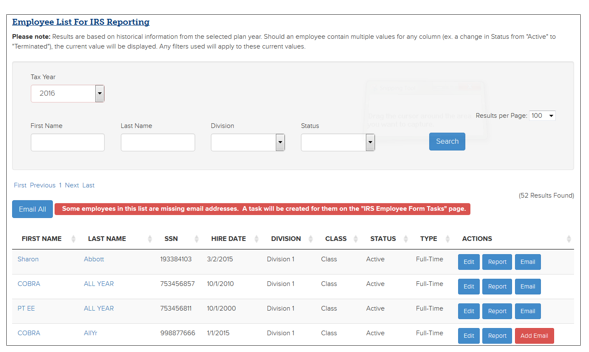 To view a particular employee’s form, click on Report. All employee SSNs shall be masked when retrieving forms from this area. To retrieve employee forms with unmasked SSNs, please use the Employee Forms Download page. To email the form to a single employee, click Email. To view an employee’s profile, click on their first or last name. The page lists those employee’s forms that were not accepted via e-File by the IRS due to a name and/or SSN not matching IRS records. These employees need to be updated prior to resubmission to the IRS. If you like to view the corrections by division, use the drop down with divisions names listed.